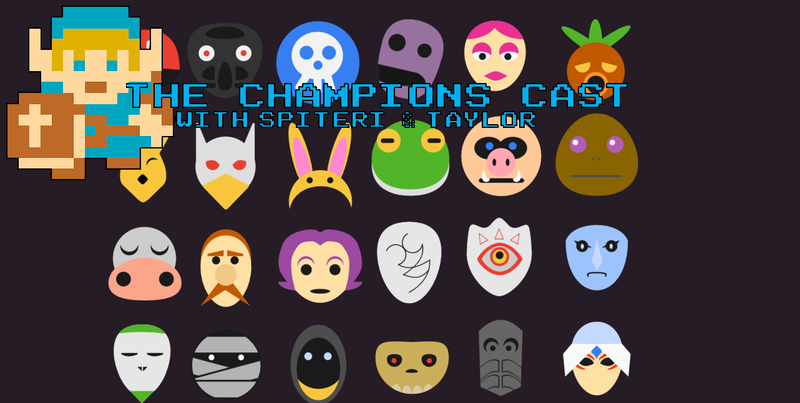 Grading Every Mask in Majora’s Mask in The Champions’ Cast – Episode 30! IT’S OUR 30TH EPISODE and we are so happy for all of the support. In appreciation for this milestone, Taylor and I deliver our longest episode yet dissecting and grading every mask from Majora’s Mask. Listen to hear which ones we love, which ones we hate, and our heated debate about the absolute best mask in the game! We wanted to give a round of big thank yous – THANK YOU for all your support, THANK YOU for helping us surpass 10,000 downloads, and most of all, THANK YOU for putting up with Taylor and me (most Taylor though, right?) in our journey!